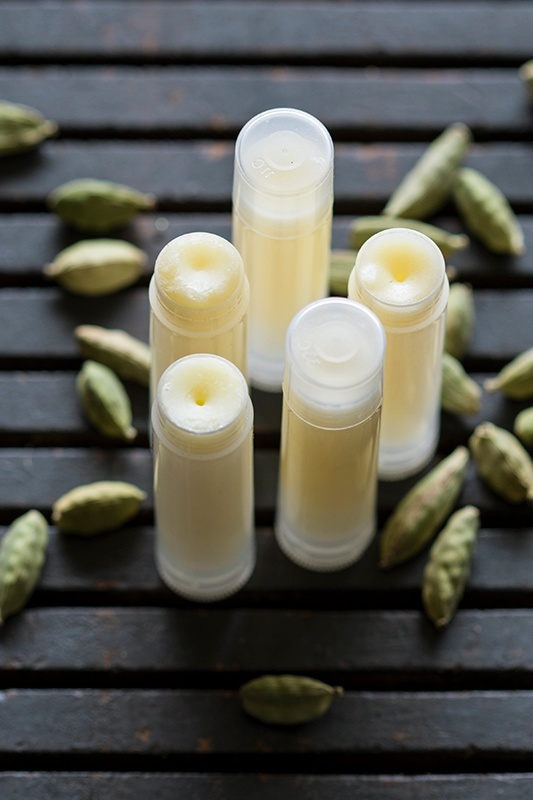 Easy to make and a great self-care tool to always have on hand, lip balm is one of my favorite DIY projects to make at home. With endless options for scents and butters, they can be fully customized and take only 10 minutes from start to final pour to make. Plus, you end up with a beautiful finished product without a long list of chemicals (like what you might find in some big brand lip balms). 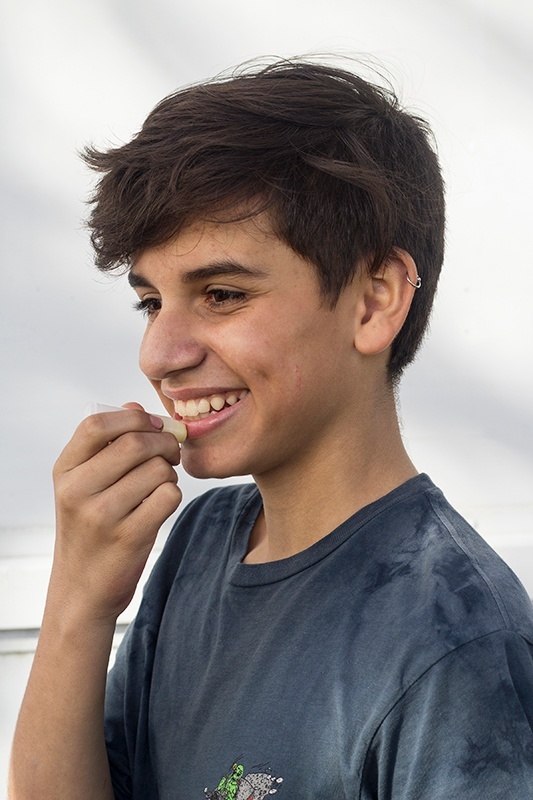 Now that my sons are teenagers, they've taken to making lip balm for themselves. Not only is it educational for them, but it's also a nice introduction to the world of DIY body care. What enjoyable entertainment to watch my youngest son’s reactions when he smells each essential oil to figure out which he wants to use! In this recipe, the vanilla bean-infused oil and the richness of cardamom make for a warm soothing scent. It’s the perfect way to pamper your lips. Split two vanilla pods lengthwise and coarsely chop pods so that seeds will be released into the oil. Add chopped vanilla pod pieces, jojoba oil, and vitamin E oil to a glass jar and allow to sit and infuse for up to three weeks in a cool, dark place. Strain if you’d like, or carefully spoon the oil you need off the top, avoiding the vanilla pod pieces and seeds. 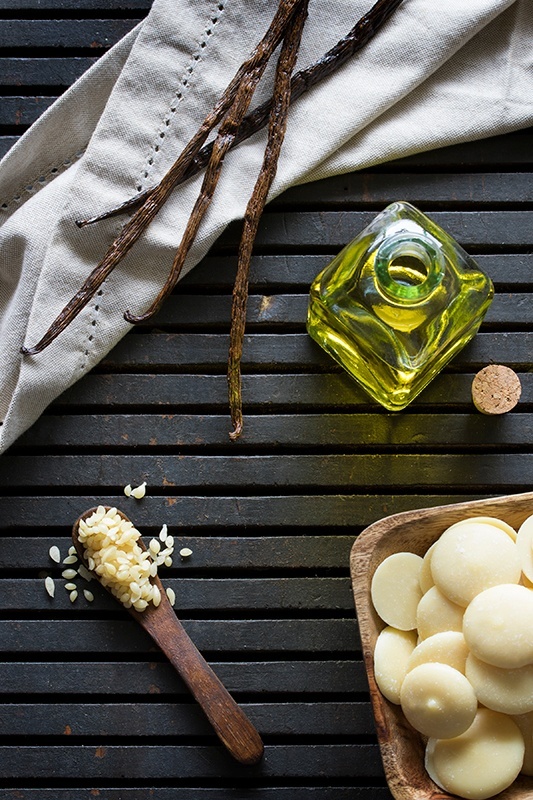 Gently heat cocoa butter, beeswax, and vanilla-infused oil in the top of a double boiler until the beeswax melts. Remove from the stove top and stir in the essential oils. Pour into lip balm containers and allow to cool. Use a hairdryer or heat gun to smooth the tops after they have hardened for a polished finish. Apply to lips and enjoy! Makes 10 tubes or three ½ oz. tins. Need containers? Find what you need on our website or reuse an old lipstick or lip balm container. As always, substitute your own favorite essential oil blend to select from what’s on hand or to pick a fragrance that better suits your preferences. Looking for More Lip-Friendly Body Care? Explore More DIY Lip Balm Recipes! Nicole, blog contributor, is a Pacific Northwest native. She has a bachelor's degree in Spanish and is a published copywriter and professional photographer. Nicole is also a consultant for successful local herbalists. 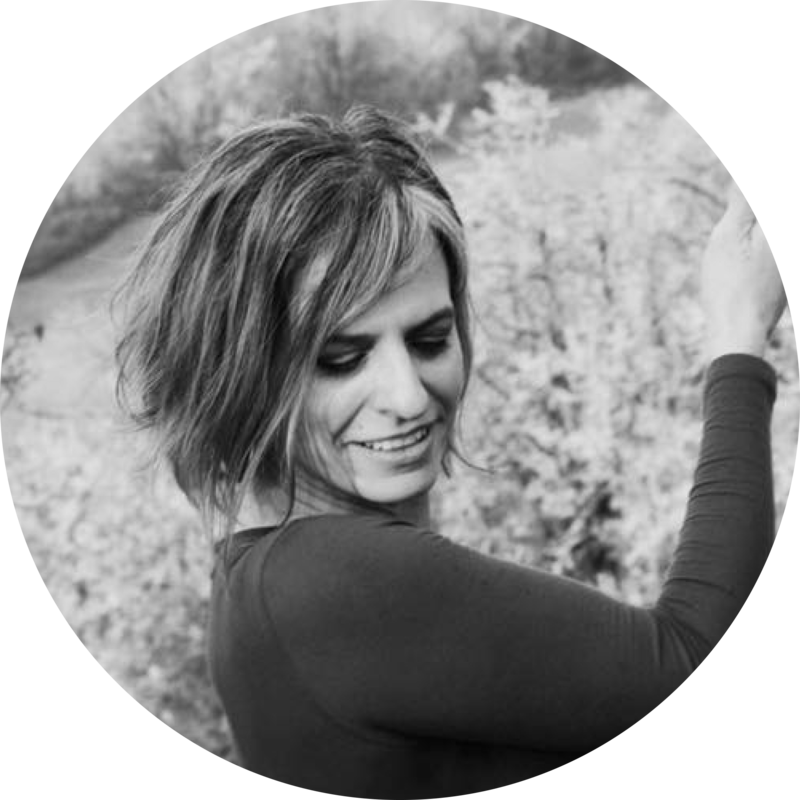 She is often trail running, photographing nature, making DIY body care projects, digging in her garden, or savoring time with her family and little rescue dog, Sage.